Call of Duty: Infinite Warfare is no doubt one of the year’s biggest upcoming games, even if fans of the series don’t appear to be so fond of the game’s sci-fi setting and also of the fact that the eagerly awaited remaster of Call of Duty: Modern Warfare will only be available together with Infinite Warfare as part of the Deluxe editions of the game. But still, the game’s announcement trailer did look great despite all the hate it got on YouTube, and the game’s single player campaign looks to be an epic sci-fi affair judging by Infinite Warfare’s recent story trailer. Of course, there’s always Call of Duty’s multiplayer, which many consider the real meat of the game and a great way to kill time playing online with friends. And those looking to sample the delights of Infinite Warfare’s multiplayer action will be able to do so this weekend starting on Friday, October 21 at 5pm GMT (10am PDT), with the game’s beta ending at the same time on Monday, October 24. The beta will be open to all PS4 players, who will be able to try Infinite’s Warfare multiplayer modes and gameplay features. Amongst the game’s new features are the “Combat Rigs”, which are basically different character classes similar to Black Ops III’s Specialists, which are “built for totally different styles of play” according to the game’s official website. An example is the Phantom who is a stealth sniper, and the Merc, who relies on heavy weapons and armour and will be ideal for those who want to play defensively. 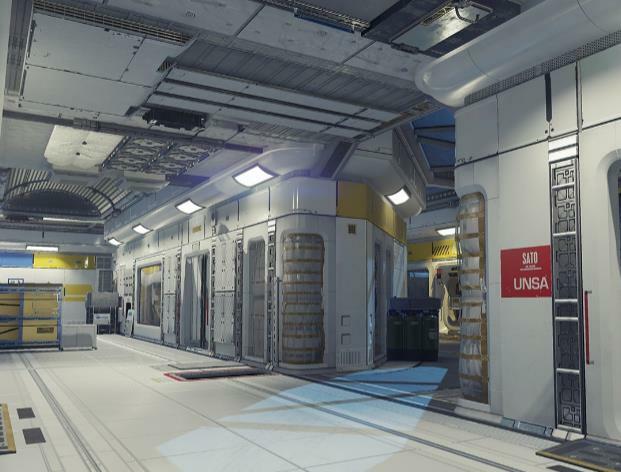 Frontier is one of the maps playable in this weekend’s Infinite Warfare beta. Players will also be able to try several maps in the beta like the “Frontier” map, a space station with tight corridors which is ideal for fast-paced battles and close quarters combat. The other maps playable in the beta will be Frost (a research facility on Jupiter’s moon Europa) and Throwback (a locale inspired by the 1950’s US, but set on a space station…). This second beta of Call of Duty: Infinite Warfare comes just a few days after the first one, which caused a pretty good impression. 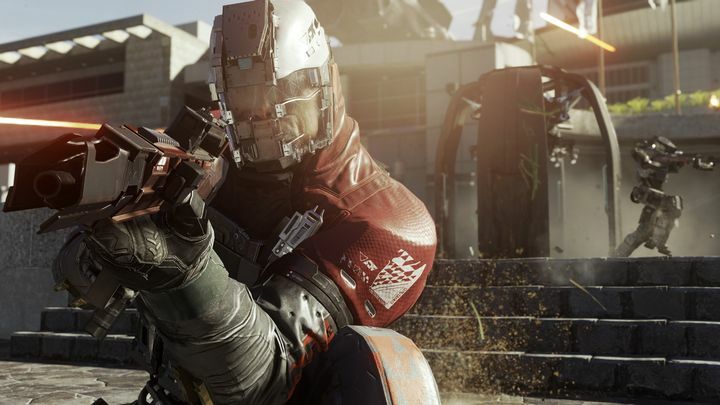 It remains to be seen, though, whether this year’s Call of Duty multiplayer will be up to scratch and provide the same fast-paced and fun action fans of the series are used to, but even if the futuristic Call of Duty: Infinite Warfare game misfires, players always have that Call of Duty: Modern Warfare remastered to look forward to, which will also feature a multiplayer component when the game comes out early next month. Update: The game’s beta got started a day earlier than originally announced, as Activion Tweeted that Infinite Warfare’s beta had gone live on October 20. Note: The Call of Duty: Infinite Warfare beta is now live on PS4 and Xbox One. It ends on October 24 at 5pm GMT (10am PDT). Meanwhile, the full Call of Duty: Infinite Warfare game releases on November 4, 2016. Available on PS4, Xbox One and PC.